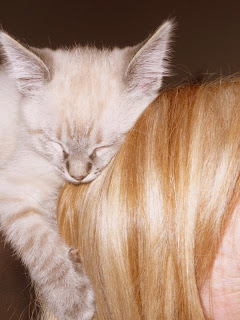 So Rascal LOVES mom! It is so funny and oh boy does Snickers get jealous! 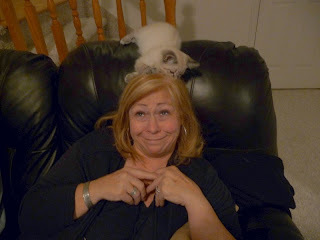 On Halloween Rascal fell asleep on my moms head!